﻿Advanced Architecture for ASP.NET Core Web API (Chris Woodruff) - Nice and detailed post that describes the architecture pattern. ﻿Analyzing images using Azure Cognitive Services (Gunnar Pei[man) - Cool post that introduces the API and shows some examples. ﻿Getting Started with Azure Container Instances (Mark Heath) - Nice new course available on Pluralsight. ﻿Quickly rollback Azure Logic Apps to the Previous Version (Abhijit Jana) - Really cool! ﻿Carriage Returns and Line Feeds will ultimately bite you - Some Git Tips (Scott Hanselman) - I didn't know that what I'm doing (coding CLI) was weird... But yeah I can feel the pain. ﻿How I Increased My Productivity With Visual Studio Code (Michael Hoffmann) - Nice little post, learn how to get better with VsCode. ﻿Microsoft + GitHub = Empowering Developers (Satya Nadella) - This was a big news this week. I profoundly think its for the best. Wait, What? 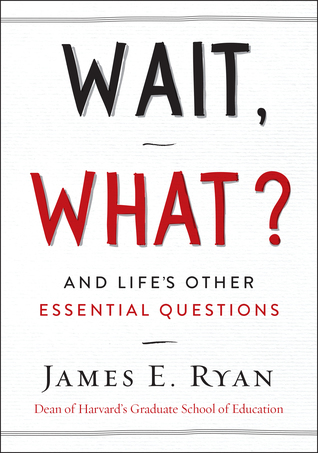 : And Life's Other Essential Questions (James E. Ryan) - Simple, short, but very interesting book. ﻿When Do People Read Blogs? The Best Times to Post (null) - Looks like timing may not be everything... But it's a big part of the equation.